Different crushing units have become an indispensable landscape in the crushing industry. Different ore crushers in the sand and gravel production line have become main crushing and processing equipment. The ore crusher plays a very important role in the whole sand and gravel production process. 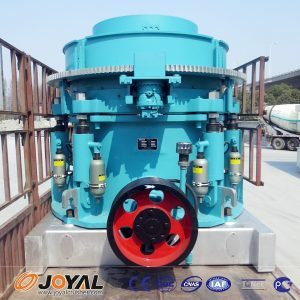 Therefore, Shanghai Joyal Mining Machinery should remind the users to pay attention to the purchase of ore crusher is very important, then how we choose the right ore crusher? Shanghai Joyal Mining Machinery is here to tell you some tips. Some small details that need to be paid attention to during the selection process, I hope everyone can choose the right crushine machinery. The nature of the ore is the premise of the purchase of the crusher. The requirements of the crusher on the stone are very large. This is related to the use of the crusher and the requirements for the discharge of the crushed stone. For the harder stone, we have to The crusher with a relatively high crushing strength of the crusher is selected; in addition, the size of the discharge is directly related to the output and the life of the crusher. Users should choose the right crusher equipment according to their actual situation. The output is directly linked to our economic benefits. The higher the output, the higher the efficiency. Therefore, users should pay attention to the choice according to the output when selecting the ore crusher. The crusher belongs to a relatively large machine. We must understand the voltage of our mine. Otherwise, it will cause the crusher not to be driven, and the machine will not work.